Dan’s Blog Interview with former professional wrestler Mark Smith! By danblanchard|2018-02-07T11:49:51+00:00January 20th, 2018|Uncategorized|Comments Off on Dan’s Blog Interview with former professional wrestler Mark Smith! By danblanchard|2018-02-06T10:44:51+00:00December 7th, 2017|Uncategorized|Comments Off on Dan Blanchard’s Blog Interview of Child Advocate Lisa Zarcone! BOOK BORROWINGS- What to Say When You Talk to Your Self! By danblanchard|2018-02-03T11:45:40+00:00August 12th, 2017|Uncategorized|Comments Off on BOOK BORROWINGS- What to Say When You Talk to Your Self! Dan Blanchard’s Interview of Commissioner Sean Connolly! By danblanchard|2017-08-05T10:51:09+00:00August 5th, 2017|Uncategorized|Comments Off on Dan Blanchard’s Interview of Commissioner Sean Connolly! 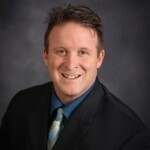 Dan Blanchard’s Blog Interview of Dr. Jason Carthen! By danblanchard|2018-02-02T01:18:18+00:00May 27th, 2017|Uncategorized|Comments Off on Dan Blanchard’s Blog Interview of Dr. Jason Carthen! We Get to Pick Our Goals! By danblanchard|2018-01-31T10:36:30+00:00April 23rd, 2017|Uncategorized|Comments Off on We Get to Pick Our Goals! BOOK BORROWINGS- Primal Leadership: Unleasing the Power of Emotional Intelligence by Daniel Goleman, Richard Boyatzis and Annie McKee! By danblanchard|2018-01-30T11:55:09+00:00April 10th, 2017|Uncategorized|Comments Off on BOOK BORROWINGS- Primal Leadership: Unleasing the Power of Emotional Intelligence by Daniel Goleman, Richard Boyatzis and Annie McKee!